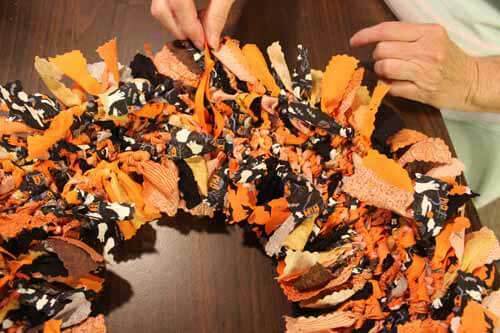 Learn how to make this Halloween No-Sew Fabric wreath. This project is: Super Easy to Make! Super Inexpensive if you use fabric scraps! And Super Awesome looking! To learn how to make this wreath, watch this video tutorial and read on for a written photo tutorial. 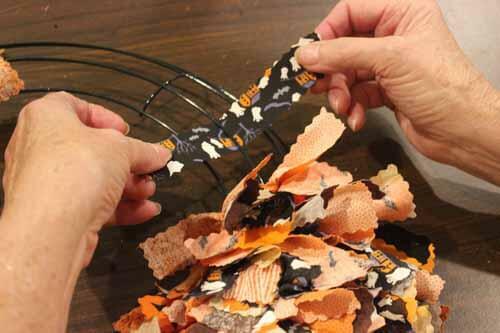 Click to watch the How to Make a Halloween or Fall No Sew Fabric Wreath video in Youtube. 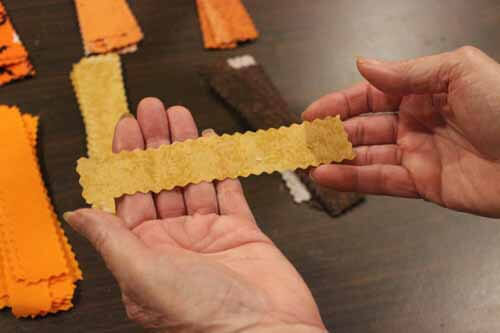 You will be cutting the fabric into 1” x 6” strips. 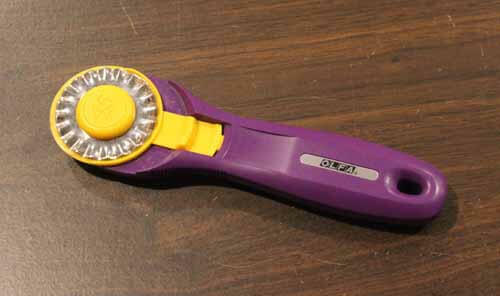 An easy way to do this is to use a rotary cutter with a pinking blade. The pinking blade will help prevent the fabric from fraying and give it a decorative edge. Working one section of the wire wreath at a time, place fabric strip under a wire. Tie the fabric strip to the wire with an overhand knot. 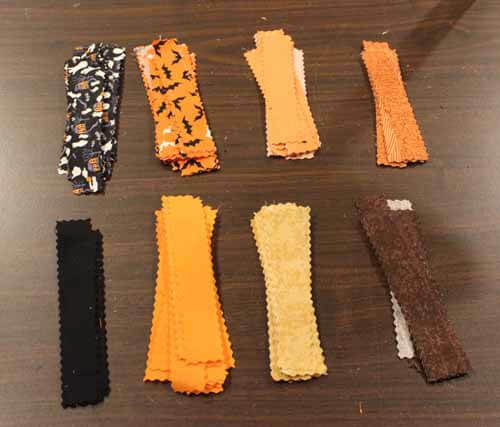 Continue adding fabric strips alternating between wires and colors until one section is filled. As you tie, push the strips very close together. This will give the wreath a fuller appearance. 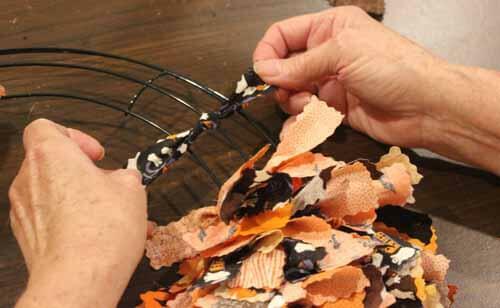 After completing one section, continue section by section until the entire wire wreath is filled with fabric strips. 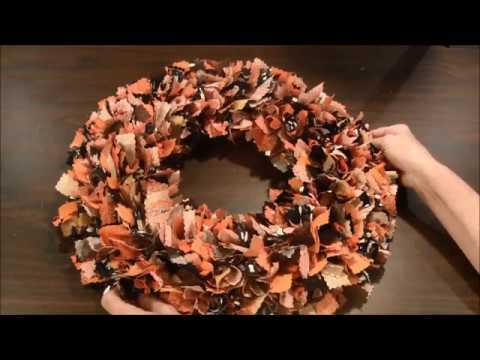 Attach a piece of ribbon to the back of the wreath and your wreath is ready to use. Since the wreath is so color, it can be used as is. 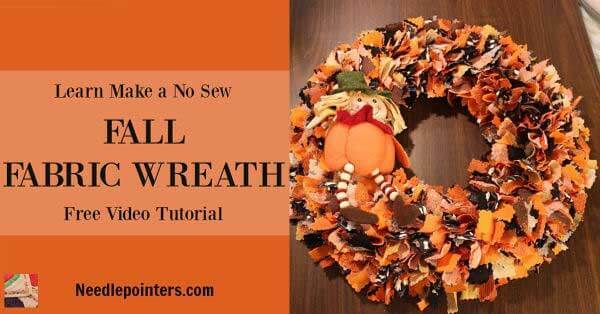 However, if you wish you can embellish the wreath by using a bow or store-bought Halloween decorations. 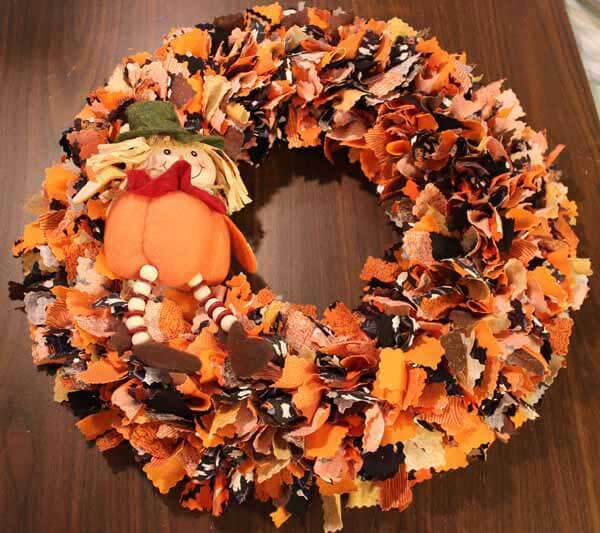 This wreath can be made for any holiday or occasion. The possibilities are endless.